James Corden explained how he would tell his kids about gay people, if they would ever ask, and it’s beautiful. The host of The Late Late Show, and father of three, was interviewed by Attitude magazine for their next issue. In the interview, he said that his six-year-old son Max has never asked about gay relationships. Well, what if he did ask about it? It’s an infuriatingly awful argument. Discrimination is OK because otherwise…you would have to talk to your kids? The horror. Exactly. Kids don’t have any trouble understanding that some people love men, some people love women, some people love both, and some people love neither, and it’s all OK.
It’s the parents who have a problem with it. 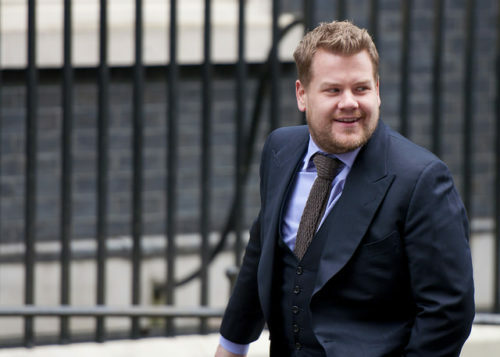 Corden also discusses the well-received sketch he performed on his show in response to President Trump’s attempts to ban transgender people from the military in the Attitude interview. “I was very proud of it,” he concluded.